Housed within the Texas A&M Health Science Center Program on Healthy Aging, The Texas Falls Prevention Coalition’s steering committee represents the best in evidence-based falls prevention community programming, with members experienced in the development, implementation, and evaluation aspects of programming along with the needs and services related to falls. The committee includes representatives from the aging services sector (Texas Association of Area Agencies on Aging), clinical practice and healthcare organizations (Baylor Scott & White, WellMed, and the Texas Physical Therapist Association), state government (the Department of Aging and Disability Services and the Department of State Health Services), and academia (Texas A&M Health Sciences Center). Dr. Ory is a Distinguished and Regents’ Professor in the Department of Health Promotion and Community Health Sciences at the Texas A&M School of Public Health (SPH) in College Station, Texas. She is also the director of the SPH Program on Healthy Aging and the academic partner for the Community Research Center for Senior Health. Dr. Ory has been a primary investigator on multiple local, state and federally funded grants to implement and evaluate evidence-based interventions for promoting healthy lifestyle changes in midlife and older ages, with special attention to falls prevention. Her efforts have helped secure national recognition for the Brazos Valley as a Healthy Community for Active Aging. In these various roles, a common theme has been the examination of how health promotion evidence-based programs and policies for individuals at different life transitions can be translated to clinical, community or workplace settings. Dr. Ory previously spent 20 years in federal service as Chief of Social Science Research on Aging in the Behavioral and Social Research Program, National Institute on Aging, National Institutes of Health. She holds a doctorate from Purdue University and a masters of Public Health from The Johns Hopkins University. She has been the author of over 300 publications on topics including self-care in later life, family caregiving and dementia care, doctor-patient interactions, aging and formal health care, cancer prevention and control, minority health and aging, and translational research. 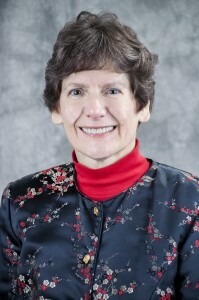 Her dedication to the field of public health is outstanding, and has been recognized with numerous awards by organizations such as the Gerontological Society of America, the International Council on Active Aging, and the American Public Health Association. Cindy Quinn is the Evidence-Based Programs Coordinator for the Texas A&M Evidence-Based Programs Resource Center in the Department of Health Promotion and Community Health Sciences at the Texas A&M School of Public Health. She is lay-leader trained in Cancer: Thriving and Surviving, a Master Trainer for AMOB, Fit and Strong!, Community Stress-Busting, and Texercise and is a T-Trainer for CDSMP and DSMP. 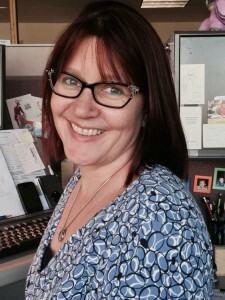 Cindy received her bachelor’s degree in gerontology and history at Weber State College and has been employed with the School of Public Health since January 2009. Doris Howell, M.P.H., is the Assistant Director of the Texas A&M Evidence-Based Programs Resource Center in the Department of Health Promotion and Community Health Sciences at the Texas A&M School of Public Health. She is a trained lay leader for CDSMP, DSMP, MOB, HomeMeds, Fit & Strong!, and Texercise, a Master Trainer for CDSMP and DSMP and has led a variety of workshops and trainings. She has been with the Program on Healthy Aging since April 2012. Prior to working with the Program on Healthy Aging, Ms. Howell worked throughout the TAMU System in grant proposal administration with the Office of Sponsored Research Services and proposal development with the Mexican-American and U.S. Latino Research Center. She also worked to build funding capacities for various non-profits committed to health care issues in New Mexico, assisted tribal populations throughout the country in violence prevention through federal background compliance, and direct service provision to adults with severe physical and mental disabilities. She holds a bachelor’s degree in sociology from Texas A&M University and an MPH in Social and Behavioral Health from the Texas A&M Health Science Center School of Rural Public Health. Debbie Billa, the Grants Manager for the WellMed Charitable Foundation, manages multiple caregiver support programs including the Caregiver SOS, Caregiver Teleconnection, and Stress-Busting programs. She retired after a rich, 30-year term as the Regional Director of the Long-Term Care Services Program with the Texas Department of Human Services, where she directed long-term care services for older adults and persons with disabilities in a 28 county region in south central Texas. She also served as the director of the Alamo Area Agency on Aging with the Alamo Area Council of Governments for six years, directing aging services throughout an 11 county region. Ms. Billa was selected as the Aging Professional of the Year at the 2010 Texas Conference on Aging and has been awarded numerous other certificates and awards over her career. Colette Pientok is the chair of the Public Relations Committee for the Texas Physical Therapy Association’s (TPTA) Board of Directors and the district chair for the Southeastern District of the TPTA. A physical therapist for 29 years, Colette has been involved in many community activities to promote health and wellness. She has instructed stretching/warm-up programs for groups training for local walk/runs, participated in health screenings, participated in the City of Houston’s Fall Prevention Awareness program, and serves as a member of the Houston Marathon Medical committee. On the national level, Colette is a Brand Champion for the American Physical Therapy Association. 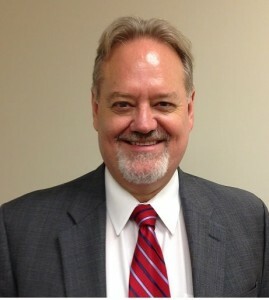 Don has been the director of the Tarrant County Area Agency on Aging at the United Way of Tarrant County 2005. He has 30 years of experience working for health, human service and governmental organizations and has served on numerous state-wide task forces, work groups and committees. He currently serves on the Board of the National Association of Area Agencies on Aging and the Evidence Based Leadership Council. Don has played a leadership role in the formation of community coalitions in Houston, Waco and the Dallas-Fort Worth area to promote evidence-based programs, eliminate duplication, fragmentation and streamline access to the health and human services. Don has also overseen several large national grants including the Real Choice Systems Change, Nursing Home Diversion/Community Living Program and established one of the first 3 ADRCs in Texas. He led the design and implementation of United Way’s 10 year, $20 million Healthy Aging and Independent Living Initiative, which currently provides funding for 11 evidence-based and informed programs. Don is also managing the largest Marketplace Navigator grant in the nation, which serves 212 Counties, including all major urban areas and border counties in Texas. He is a recipient of the 2012 the Tarrant Area Gerontological Society’s Harriet Griffin Award and the Public Citizen of the Year Award by the National Association of Social Workers – Fort Worth Area Branch. Under Don’s leadership, the Tarrant AAA has received 3 N4A Innovation and Achievement Awards. Mona Bailey is the Speaker Pro Tem of the Texas Silver-Haired Legislature. She graduated from Baylor University in 1960, retired from Electronic Data Systems, and served on the Tarrant County United Way Board of Directors as Co-Chair of the Health Council; served as the Chair of the Leadership Team at Richland Hills United Methodist Church and teacher of senior adult class. She served as the President of a local women’s club and member of North East Senior Community Forum, North East chapter of Delta Delta Delta and the Baylor Women's Network. She is currently the United Way Public Policy Committee Co-Chair for United Way of Tarrant County. Carol Zernial is the executive director of the WellMed Charitable Foundation and Vice-President of Community Relations for WellMed Medical Management. She is the Chair-Elect of the National Council of Aging’s Board of Directors and a member of the governor’s Aging Texas Well Advisory Committee. Ms. Zernial is also the producer/host of the radio show Caregiver SOS on Air. Previously, she worked for the 1995 White House Conference on Aging and the American Association of Homes and Services for the Aging and served as a chair for the National Institute of Community-based Long-term Care and as a board member of the National Association of Area Agencies on Aging. 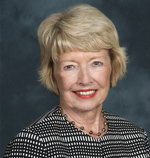 Carol Zernial received the 2008 Outstanding Professional in Aging Award in Texas for her contributions to the field of aging. Holly is the manager of the Texas Health and Human Services, Aging Services Coordination (ASC) office. The ASC office coordinates and promotes the states aging services and programs to ensure older Texans and communities are provided with information that will help them prepare for aging issues. ASC also administers programs and special projects designed to enhance the quality of life for older Texans including the Aging Texas Well initiative, the Age Well Live Well campaign and the internationally recognized Texercise program. Holly’s work includes policy and planning development, working with local communities to build program capacity, marketing, public speaking, and support to the agency’s outreach efforts. She plays a key role in marketing and public-private partnership development to help grow the states wellness offerings for older Texans.